Lloyd’s Register has launched its new Rules for Offshore Units, following an in-depth consultation with industry. The document signals a move by LR to modernise the way in which Rules and their guidance notes are presented to industry, and how they are used by designers and operators of Offshore Units. Commenting on the release, Richard Nott, VP of Operations for Lloyd’s Register’s Compliance Services business, said: “Our aim has been to take Class a step forward by providing an easy to use Rule set for our clients where content is straightforward to read, understand and apply. The new Rule set sees the amalgamation of Lloyd’s Register’s Rules for Mobile Offshore Units (MOU) and the Rules for Floating Offshore Installations at a Fixed Location (FOIFL). 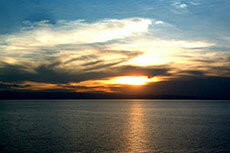 For the first time, all floating offshore asset types are included in one document. “In addition to the consolidation of the MOU and FOIFL Rules, we have introduced topics that are new to the Rule set and include new technical content on naval architecture, fire protection, high voltage electrical equipment, cryogenic spill and LNG offloading, among others,” Nott added. Image courtesy of Lloyd's Register. 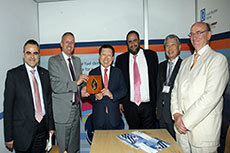 New LNG-fuelled ferry launched at the Fincantieri shipyard in Naples classed by Lloyd’s Register. 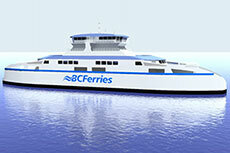 Three LNG-fuelled ferries ordered by BC Ferries from Remontowa Shipbuilding S.A. will be classed by Lloyd’s Register. Lloyd’s Register, DSME and Capital Ship Management Corp. have entered into a joint development project, which will include a focus on LNG as marine fuel. 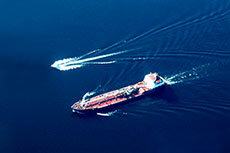 The Lloyd’s Register report for November 2013 looks exclusively at LNG as marine fuel.